There is no middle ground when it comes to gondolas in Edmonton. There’s just the Great Gondola Debate. 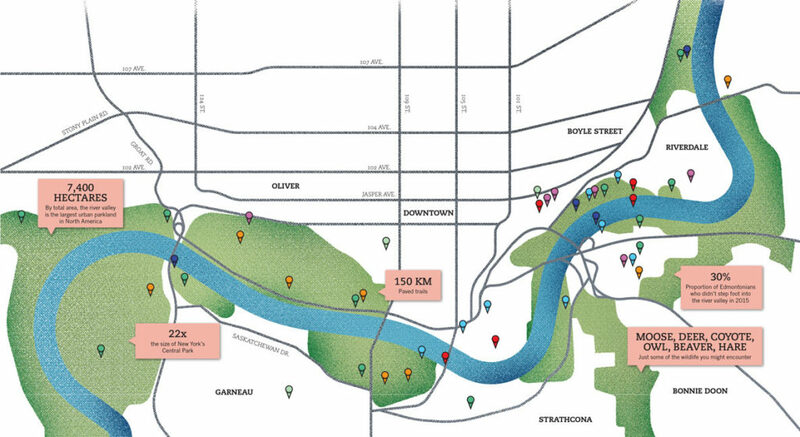 Ever since Edmonton first heard of the proposal to build a gondola that would run from a main station downtown, to Rossdale and ultimately Strathcona, the debate has raged. The idea originated in March as the winning pitch from The Edmonton Project, a development industry competition to build a new local landmark. (Other pitches: the world’s largest treehouse; a food- truck Ferris wheel.) In April, the Edmonton Transit System Advisory Board sent the debate into overdrive when it said a gondola could be a “fast … and cost-effective” option to connect downtown and Strathcona. That divided urbanists, transit lovers and downtown advocates who normally find themselves on the same team. And Robert Summers is not surprised. Summers, the associate director of urban and regional planning at the University of Alberta, says gondolas are often regarded as a novelty or tourist attraction in North America. And transit proponents in Edmonton, he says, seem to see the proposal as taking attention away from more necessary projects. But what about the problem itself— transit connections between downtown and Strathcona? And questions of who will pay if we build a gondola? 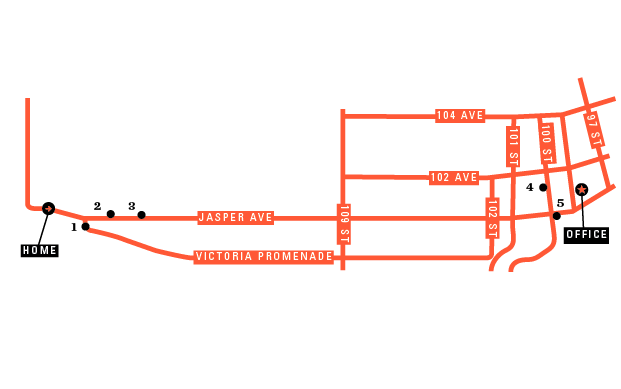 Currently, residents of Oliver and downtown can ride transit to Strathcona (but not really Rossdale) by taking a series of infrequent and meandering buses. 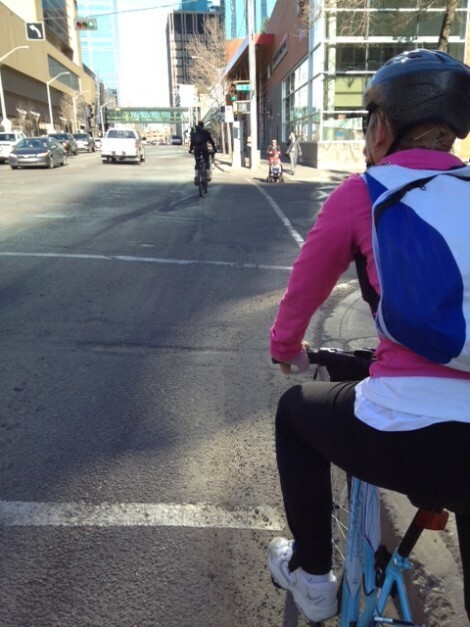 Or they can walk, bike or take a bus to LRT to cross the river—and then take a bus to Strathcona. Or they can just walk or bike. Or take the High Level Bridge Street Car. In short, connections between the city’s two main urban areas are laughable. The matter of who pays has also yet to be settled. In June, council’s urban planning committee voted to investigate the gondola, including its potential costs. City officials are determining how much a feasibility study itself would cost and whether the private sector would really pay for the project. The Edmonton Project founders have said the private sector would pay for everything. Some remain unconvinced of that. One thing is certain: the Great Gondola Debate is not over. Fraxinus pennsylvanica. Prunus virginiana. Ulmus americana. You probably don’t know these plants by their cryptic scientific names, but you’ve definitely seen them. 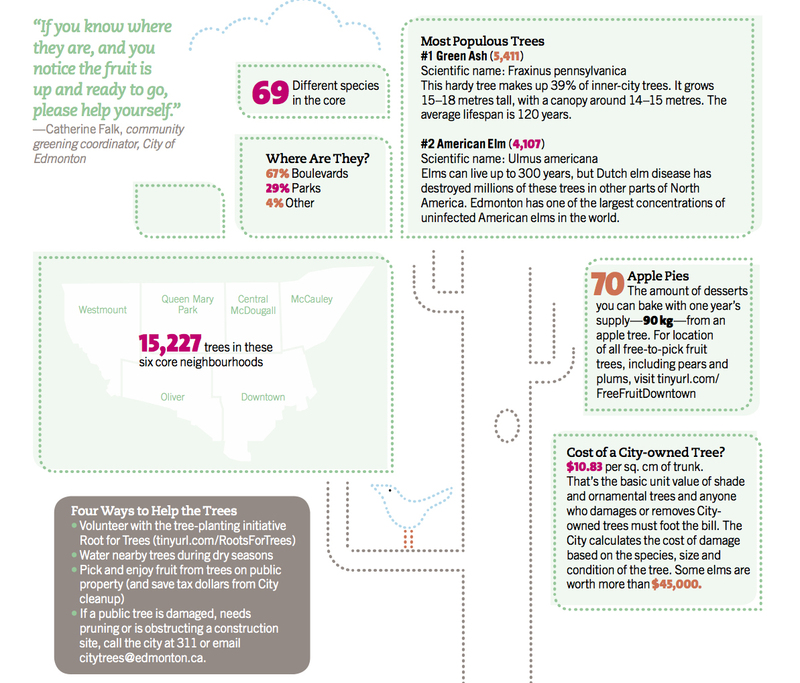 According to the City of Edmonton’s open data portal, there are over 15,000 trees rooted on public property in the downtown area, including over 500 fruit trees. They contribute to flood mitigation, air pollution control, beautification and food security. They all require different maintenance, so leave the pruning, trimming and removal to City staff. But there’s one easy way residents and business owners can be better urban stewards: Point your hoses and sprinklers at nearby trees during drier seasons—especially after such a mild winter. Not everything has to be so complicated. 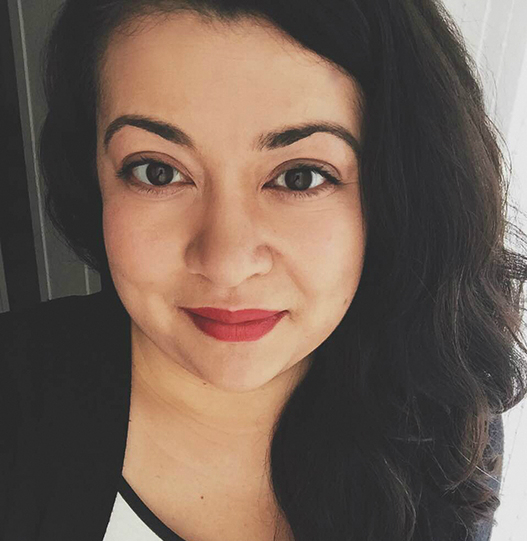 Her journey serves as an essential list for downtown newcomers looking to find solid ground, and it began the day she met Grazyna Pkaos, at Edmonton Immigration Services Association’s outpost in the Stanley Milner Library. 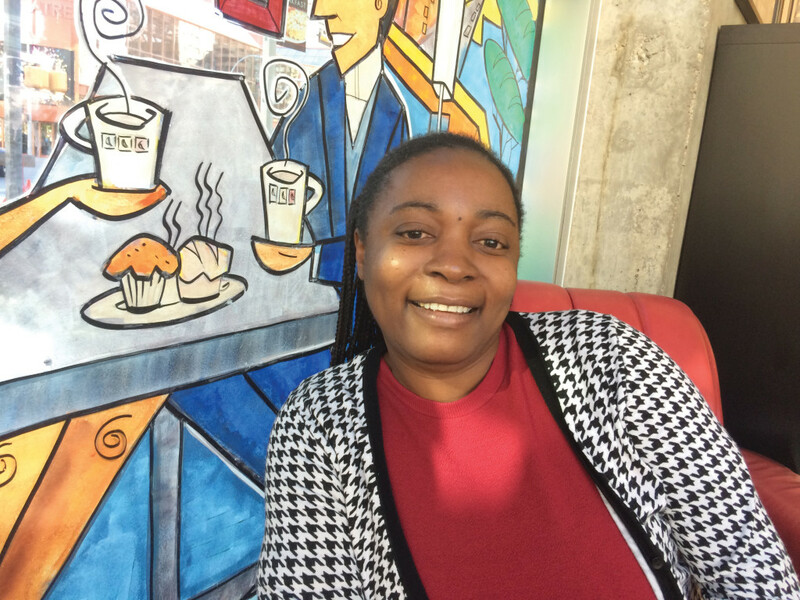 The settlement officer got her started as a volunteer translator for EISA, which helped bolster her resume. Pkaos also directed Batoum to Alberta Works Centre a few blocks east, where she was provided with a career counsellor and additional training, and then to Catholic Social Services on 107 Ave., where Batoum had an official English language skills assessment. 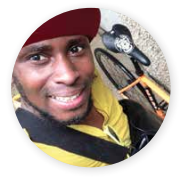 Spend enough time downtown and you’ll spot Nana Kumi, most likely on his road bike, a bright orange Masi Speciale covered in a collage of stickers from local businesses. But Kumi’s Oliver apartment is more than just a place for him to hang his signature commuter hats; it’s a way of life for the gregarious general manager and managing partner of Tres Carnales, one of Edmonton’s most beloved eateries. “I love everything about working in the restaurant, but downtown is who I am,” he says. 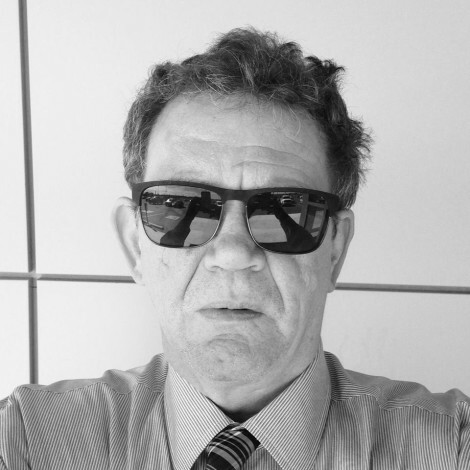 “You can walk to where you need to, and no matter where you go, you will see a friend.” Here are a few of his favourite places along his four-minute ride. Capital Plaza, 10800 97 Ave.
Red Star Pub, 10534 Jasper Ave.
Credo Coffee, 10134 104 St. Being no stranger to the small business model, Nana appreciates the independent coffeeshop’s warmth and friendliness. It’s also family owned—and that’s one of the biggest factors for near daily visits from Nana, an ardent supporter of local business. Of course, the barista’s expertly crafted coffee certainly doesn’t hurt. Corso 32, 10345 Jasper Ave.
Before and after a shift at Tres Carnales, Nana likes to take in the restaurant’s surrounding area. He rides down the cobblestone roads, appreciating the architectural array of modernism and heritage buildings, as he savours the charms of Edmonton’s only official pedestrian street—meaning there’s no jaywalking tickets for the steady flow of foot traffic and the many friendly faces just outside his work’s front door. Do you live and work in Central Edmonton? Tell us your favourite highlights in The Route. Email editor@theyardsyeg.ca. Always being on call for work has its challenges, but for public affairs officer Duncan MacDonnell the simple solution is to live downtown. Summer—or wildfire season—can be especially busy at Alberta government’s department of environment and sustainable resources. Luckily, when Duncan is needed, he’s rarely more than a five-minute walk from the office. Here are just a few of his favourite highlights around his home and office. Constable Ezio Farone Park, 11004 97 Ave. The Common, 9910 109 St. The Metro, 10250 106 St.
City Market Downtown, 104 St. Some come to shop; Duncan comes to shoot. He loves starting Saturdays with a jaunt to the farmers’ market to capture some photos of the bustling environment, and immerse himself in it. On his way out, Duncan will pick up ingredients for the night’s supper from such suppliers as Edgar Farms (the asparagus are legendary) and Irving’s Farm Fresh (whose sausages are delicious and dizzying in their variety). Rose Bowl Pizza & Rouge Resto-Lounge, 10111 117 St.
Duncan often frequents “the best pizza place in town” with work friends and associates, and savours the carne pizza so much that he rarely tries anything new. The authentic thin crust pizzas are hard to decline, but he also comes for the brief time-travel one experiences lounging in its retro and funky ’70s-style bar. 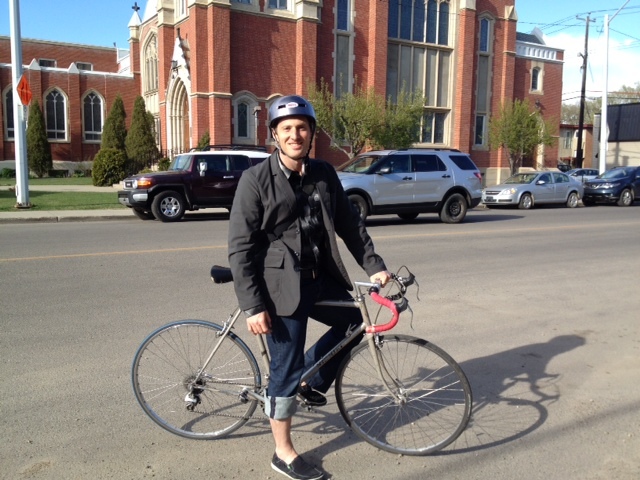 Me and my trusty ride, passing by Robertson-Wesley United. Until you’ve done a mile on somebody’s tires, you can’t appreciate where they’re coming from—or going. 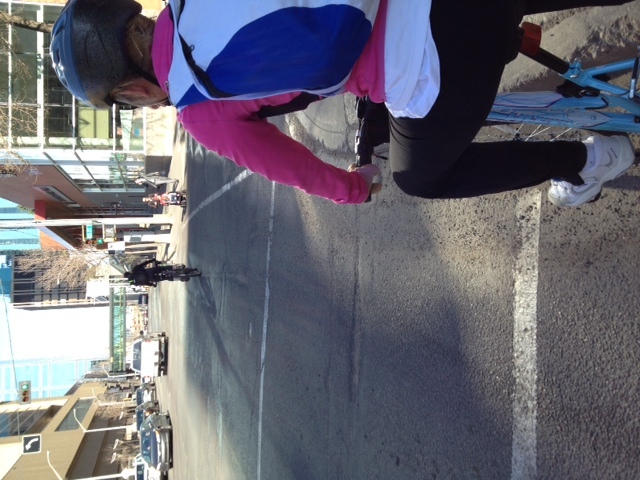 While I regularly ride through downtown, I don’t often cover 102 Ave. in its entirety. But to write about downtown cycling tracks (see “Cycling of Change” and “The Tao of Tooker”) I literally needed to put rubber to road. So, on a warm May afternoon, I set out east from 146 St., charting a straight(-ish) line that was almost 50 blocks from one end of 102 Ave. to the other. 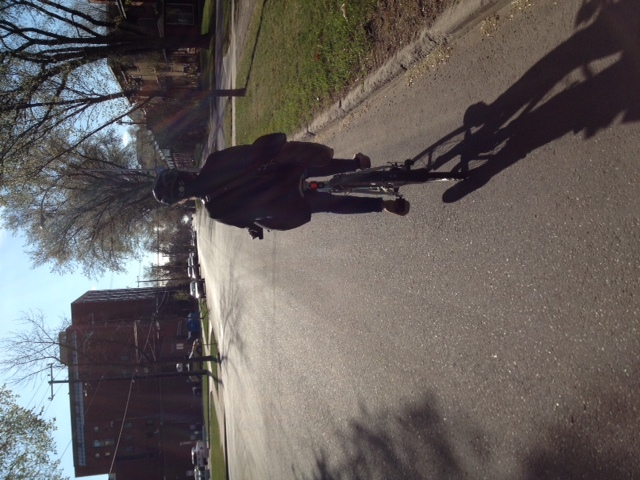 My trusty old grey roadie and I were going to test some cycling assumptions. What is downtown car and bike traffic really like? How forgiving are curb lanes? Will this thing even work? 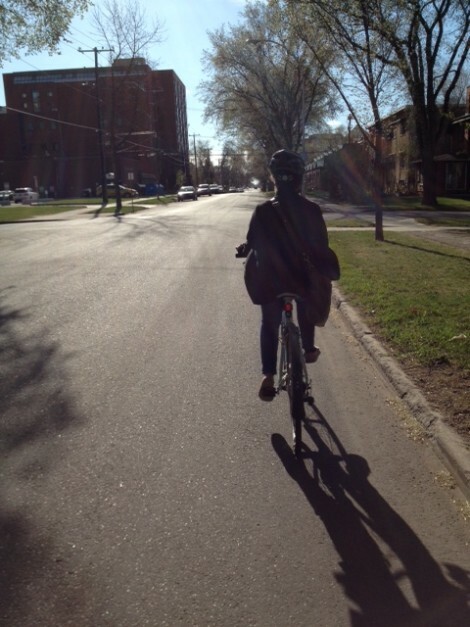 A passing cyclist in Oliver, between 116 St and 102 St.
Because I live south of the river, my travels rarely take me west of 124 St., to the Glenora and Westmount neighbourhoods that will be serviced by the $8.8 million bike lane, which begins construction in 2016. So, to me, that end of 102 Ave. is unfamiliar terrain. It’s also, from a cycling standpoint, least pleasant. Growling one-tons, rumbling delivery vans, youth hockey player-toting SUVs and cocky Audis regularly whip by me and leave scant cushion for this cyclist. Potholes, heaves and unswept debris rattle my frame. Construction on Groat Bridge forces me to stray from the faithful path, but by 124 St. I’m back on track. Past the steeple of Robertson-Wesley United Church, everything changes. 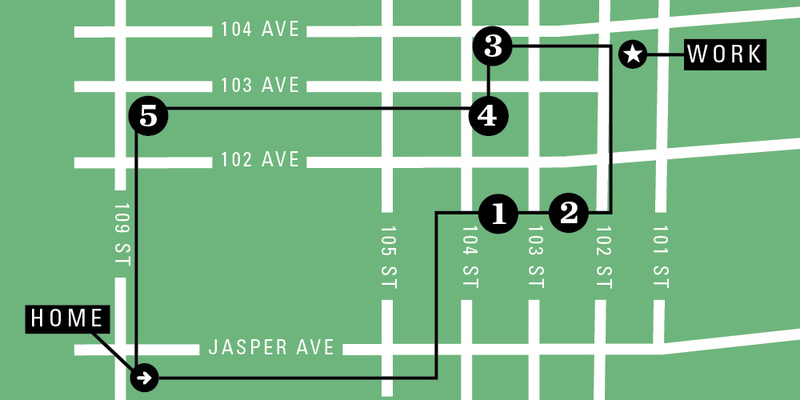 In Oliver, 102 Ave. becomes a residential thoroughfare lined with doting elms. Cars seem a little more accustomed to sharing the road, perhaps through habit as more cyclists appear to frequent this part of the route. 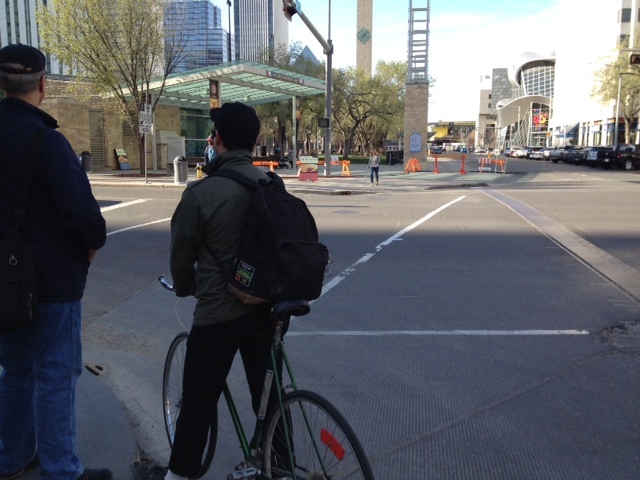 Once in downtown proper, it’s clear from their body language that cyclists here are tense and wary. Cars, cabs and buses merge in and out, in and out, in and out—intersection by intersection until the congestion around Churchill Square sends them astray. But east of 100 St. the street is drastically less busy. 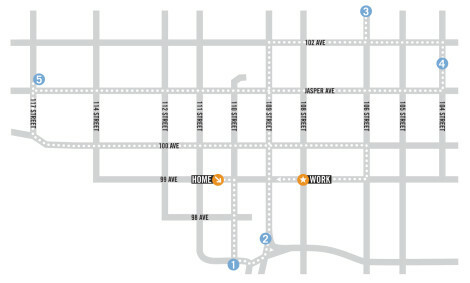 Intersection at 102 Ave and 103 Street. At a relaxed pace, the entire journey takes 25 minutes or less. A little longer than it would take me in my mini van, but not nearly as enjoyable. I reach the end feeling that the potential is great, and so is the need. Here, along this every changing and busy urban corridor, there could be an oasis—a slower, sweeter way to drink from city life. Perhaps that’s just what Edmonton’s diesel-driven pace needs. 1. DISTRICT COFFEE, 10011 109 St.
Raffaella will pop in for a latte in the mornings to fuel her quick commute. 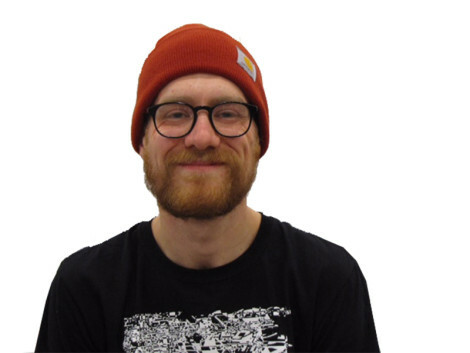 “I wasn’t much of a coffee drinker until Nate [Box] first opened Elm Cafe. Now I’ll happily partake in a coffee pilgrimage whether it’s to Elm, District or a stroll to Riverdale to visit Little Brick,” she says about the entrepreneur’s cafe empire around downtown. While there, she might treat herself to an artisanal salted caramel or one of pastry chef Erica Vliegenthart’s fresh baked goods. 2. JOHN HOWARD SOCIETY MURAL, 10010 105 St.
3. ZENARIS, 10180 101 St.
She meets with friends after work for a bottle of Prosecco at this family-owned Italian restaurant in the middle of Manulife Place. The seating and cocktail bar are nestled in the middle of the busy indoor corridor, making for perfect people-watching and patio dining on the rainiest of days. 4. FLOC BOUTIQUE, 10106 124 St.
5. LUX BEAUTY BOUTIQUE, 12531 102 Ave.
Patrick Nybakken doesn’t just live downtown; he’s helping rebuild it, as a plumber on the City’s new $300 million office tower in the Edmonton Arena District. After having lived close to the Oilers’ current home, Patrick made the move downtown last year and now enjoys a 20-minute morning walk to the site on 104 Ave. and 101 St. It has come with a connection to his neighbours that he’s never felt in other parts of the city. “I am bound to run into a friend, or see a person I have never met but passed many times. 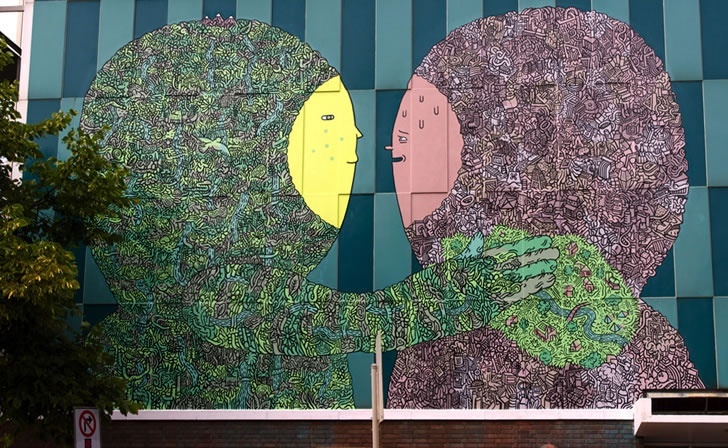 We give each other ‘the smile and nod.’” He adds, “And more and more interesting places are always popping up.” Many of these new additions have cropped up along his commute to work and, best of all, have made it easy for him to be a conscious consumer. 1. EARTH’S GENERAL STORE, 10150 104 ST.
Patrick’s made a lot of lifestyle changes in the last year, including taking supplements and vitamins. For those, he visits Earth’s General Store and stocks up on Vitamin D, probiotics and shea butter for the cracks in his hands—a side-effect of his labour. 2. DON WHEATON FAMILY YMCA, 10211 102 AVE. While some days his job is exercise enough, other days the YMCA picks up the slack. “When I started going, I was going to spin classes,” he says. Now Patrick has added more routines: squats, lunges and push-ups. Since going, he’s made friends with other fitness-minded folk. 3. TRANSCEND COFFEE, 10359B 104 ST.
4. EDMONTON EMERGENCY RELIEF SERVICES THRIFT STORE, 10255 104 ST.
5. MOTHER’S MARKET, 10251 109 ST.
On Friday evenings, Patrick stops by the weekend indoor market for fresh produce and meats. “I have a vehicle, but it’s nice not to have to drive sometimes for groceries.” He eats healthy, never forgetting some fresh garden carrots from Lund’s Organics, but can’t resist wild boar bacon from Foremsky’s Market Meats and Irvings Farm Fresh pork shoulder for his pulled pork recipes. 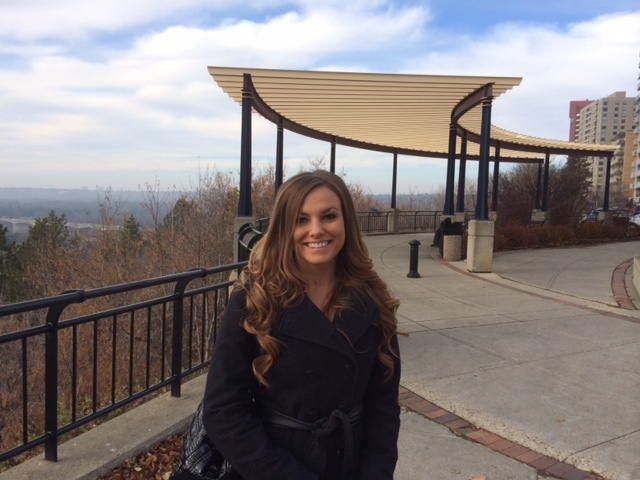 When Breanne Kraus landed a job in her hometown after years living in Calgary, her first impulse was to find a home on the south side. The 24-block trek isn’t just more convenient for work, it lets the health advocate—organizer of Bust-a-Move, an annual six-hour workout that raised $1.2 million last year—make living a healthy lifestyle part of her daily routine.